After spending his childhood in the village of Talwandi, Guru Nanak is asked to go to Sultanpur Lodhi by the village chief, Rai Bular, who recommends him to work with the governor of Punjab under Daulat Khan Lodhi. 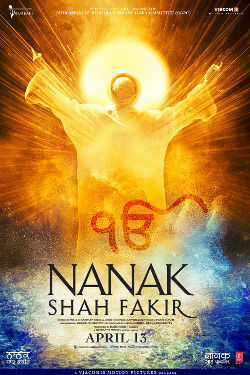 There, Guru Nanak lives with his sister Nanaki and brother-in-law Jairam. He later gets married in order to live a normal life but his mind keeps calling him towards the path that he was born for and finally he decides to leave for his quest. Mardana leaves Talwandi and follows Guru Nanak by becoming his social reforms and dedicating his life to the Guru. After meditating by the banks for years in search of inner peace, Guru Nanak finally attains enlightenment. He then decides to travel around the world along with Mardana to spread the essence of Ek Onkar (One God) as a philosophy and way of life.